Watch the latest releases in our home cinema. 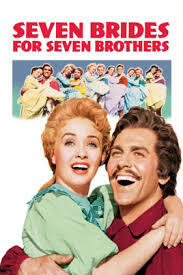 This month's film is Seven Brides for Seven Brothers (1954). This classic 1954 musical spectacular is sure to get your toes tapping. You can buy drinks and snacks throughout the film for just £1.